What is haiku? 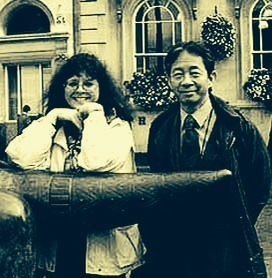 Listen to the Chairman of the World Haiku Club, Susumu Takiguchi, and poet Debra Woolard Bender talk to Paul Conneally in Loughborough, UK, about the essence of haiku. Click here to hear the recording: WHAT IS HAIKU? Hi Robert – when I’ve got a bit of time I’ll try and transcribe it – if not the whole at least some parts – hope you are well – I’m ploughing my path – not in straight furrows! Thanks, Paul, that is nice of you. Bowing.